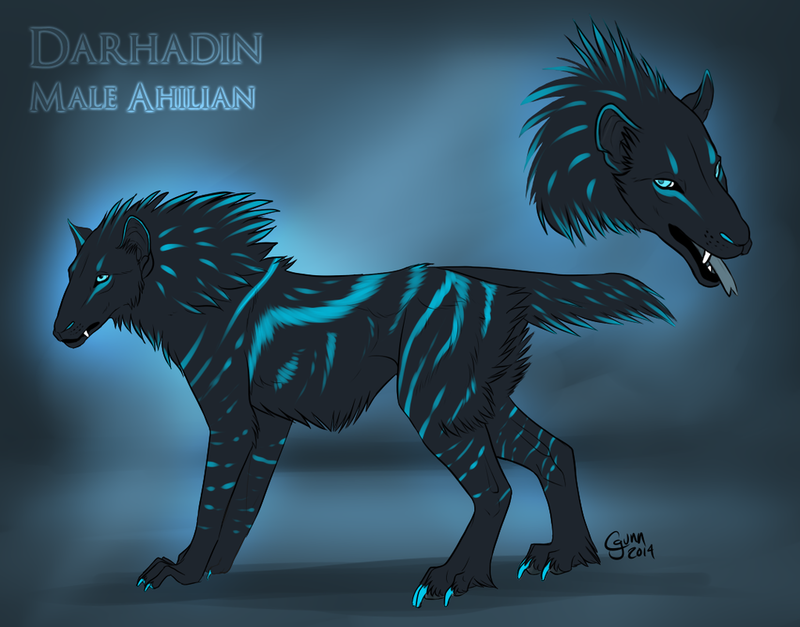 Ahilians are dog-like aliens, to put it in a nutshell. Darhadin is a snotty little turd with the intelligence of a five year old human. He can speak with telepathy and is always getting into trouble with his grabby hands. He badmouths people and has picked up quite a vocabulary from his human companion. He will eat anything.